Using biomass charcoal making machine to recycle biomass is quite popular nowadays. 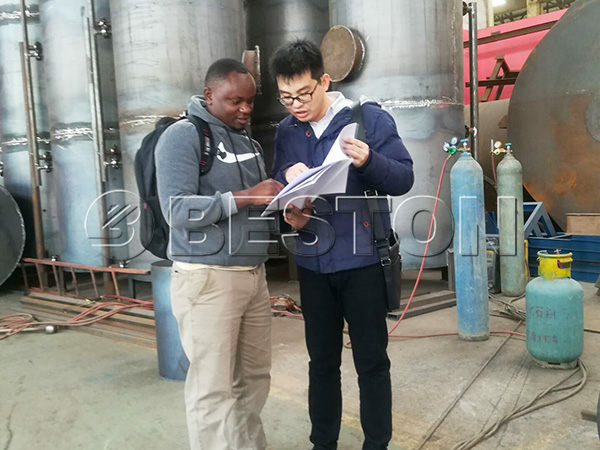 The plant adopts the biomass carbonization technology, and through the high temperature and other related process, you will get biomass charcoal at last. In this way, you can avoid air pollution caused by burning the biomass waste. Moreover, as the price of charcoal is becoming higher and higher. So making an investment in this kind of plant can benefit you a lot. When people want to buy something, it is necessary for them to make an investigation. 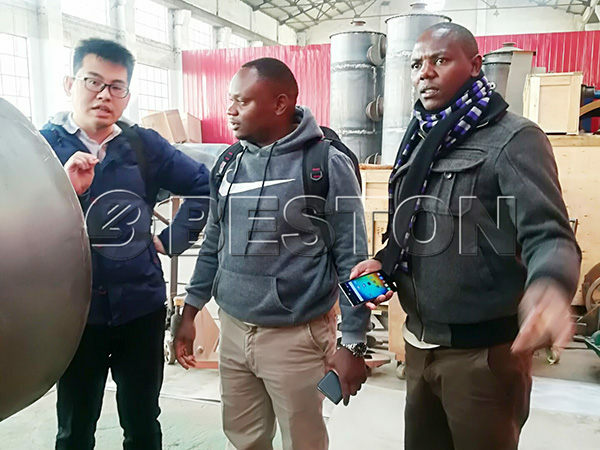 So our customer came to our factory. 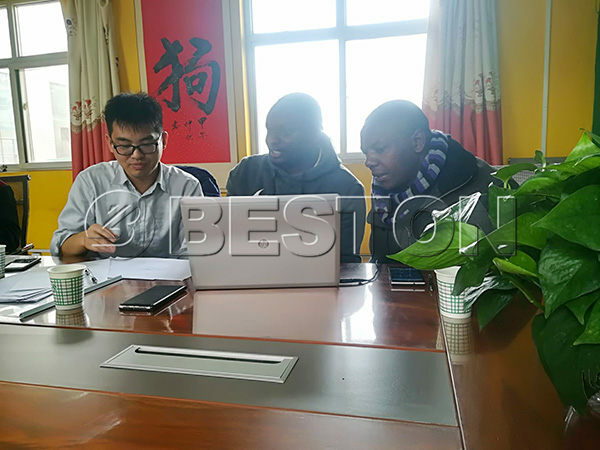 Our sales manager told them a lot of details, and also answered their questions. If you want to buy such a plant, you can also come to visit us.